Clean lines, a touch of metallic. 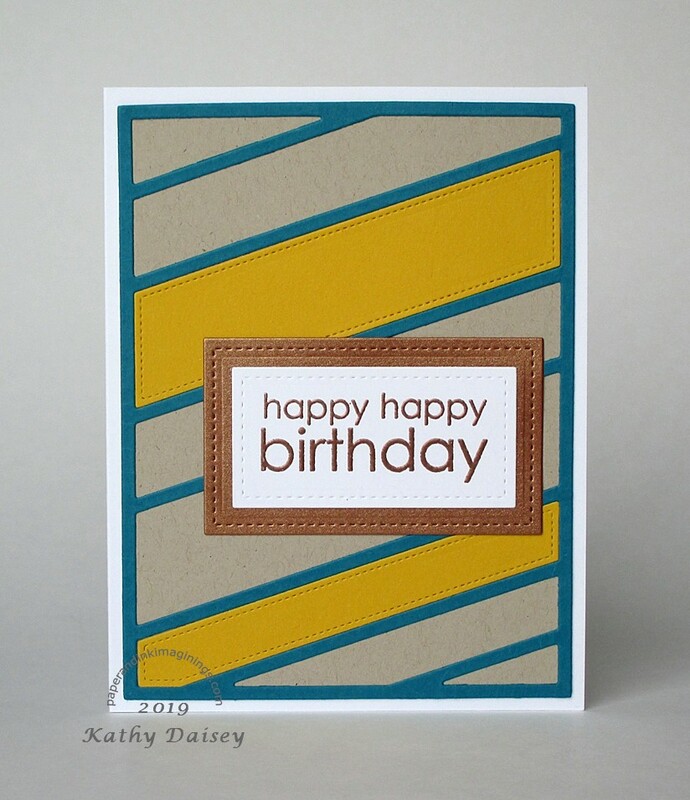 Supplies: Stamp – Papertrey Ink, paper – Neenah Classic Crest Solar White, Kraft, Stampin’ Up! Brushed Copper, Crushed Curry, Island Indigo, ink – VersaMark, dies – Lawn Fawn (stitched rectangles), Taylored Expressions (diagonal stripes), embossing powder – Stampin’ Up! Classy Copper. Categories: birthday, card | Tags: card, Lawn Fawn, Neenah, Papertrey Ink, Stampin' Up!, Taylored Expressions, Tsukineko, VersaMark | Permalink.